Ray-Bancan also do sporty. 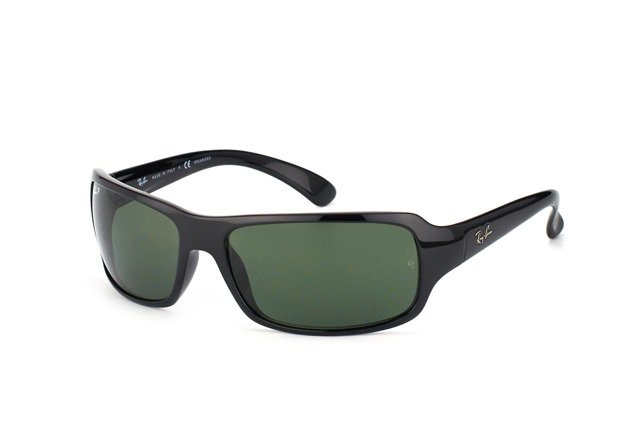 The sunglasses model RB 4075 benefits from a very dynamic shape which seems to throw down the gauntlet to other models. The American sunglasses brand Ray-Ban, who can already boast the classic Wayfarer and Aviator designs, are always trying to win us over with new styles. The curved shape of the RB 4075 suits the face of every wearer extremely well, thanks to the close fit of the curved frame. The large lenses wrap around the eyes closely and so effectively protect against sunlight from the front and the sides of the face. And it goes without saying that the lenses guarantee 100% UV protection. The curved shape of relatively flat plastic arms add to the dynamic character of this model as well as ensuring a secure fit, even during exercise. The RB 4075 model is part of the Ray-Ban Highstreet line and so it is no surprise that despite all their sportiness, these sunglasses cannot conceal a certain elegance. 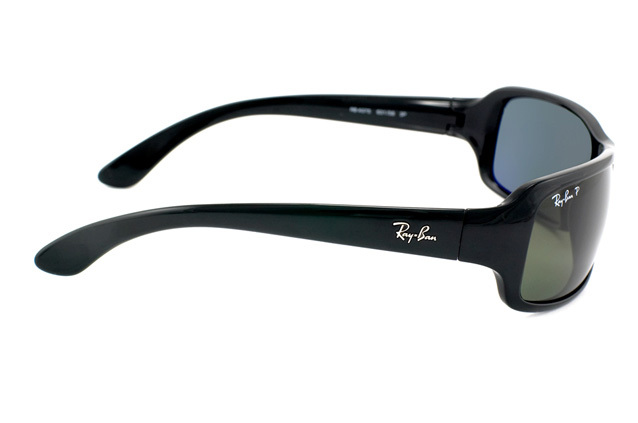 This is due in part to the materials used and the excellent workmanship that is characteristic of all Ray-Bans. It is also clear that these sunglasses have no desire to be sports sunglasses. When you look at these Ray-Ban RB 4075 you don't think of judo or football but rather of a gala dinner at the end of a Formula 1 season. 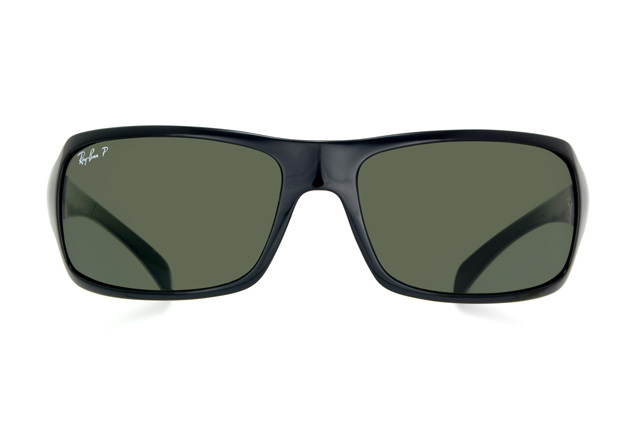 The black model has polarized lenses and in addition to normal sun and UV protection, also reflects rays of light from the surface of water or snow away from the eyes.